Corroboree Little Athletics club encourages and welcomes athletes with Impaired Hearing, Impaired Visibility, Cerebral Palsy, Intellectual Impairment and amputees/transplantees (although there is limited scope for wheelchair events due to our grass track). For more information about joining Corroboree as a para athlete, please contact Andrew Sutton. 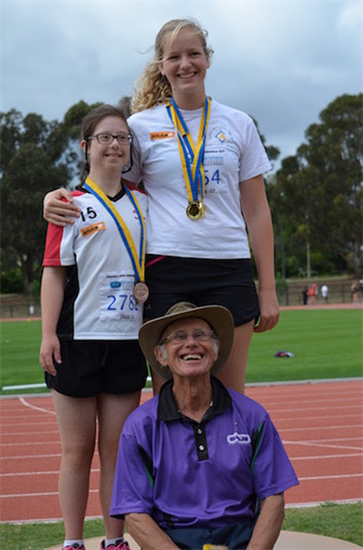 See this link to the para athletes page on the Little Athletics ACT website.